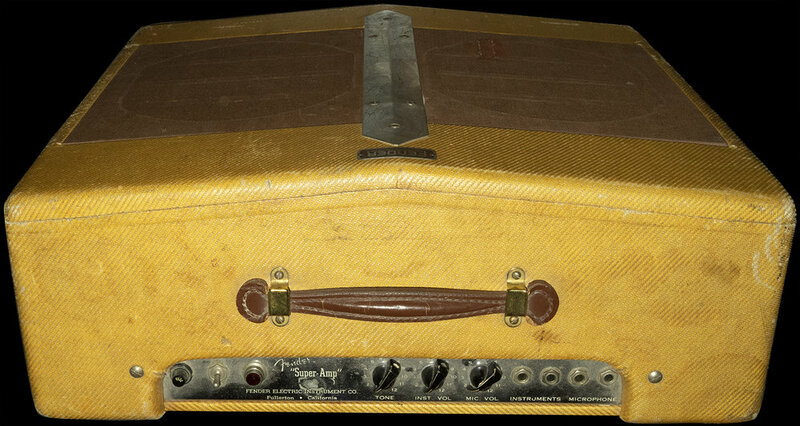 A 1949 Fender V-Front SUPER. This one has it’s original and correctly dated, often missing 1949 speakers and original speaker-mounted Triad transformer. This is a 4 input 5B4 circuit design. A very nice example that just needs an original handle and brackets to be complete. These have such a fabulous look and vibe!